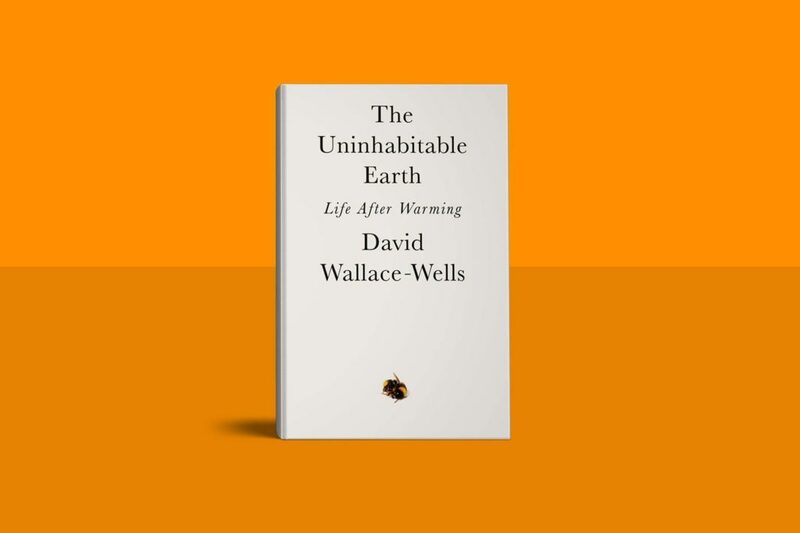 Wallace-Wells describes the impacts of climate change as like a kaleidoscope: “we can be mesmerized by the threat directly in front of us without ever perceiving it clearly” (p. 143). To combat this, he deploys scientific literature to describe the “elements of chaos” that already permeate our world. Regarding “heat death,” for example: at just four degrees of warming, the “European heat wave of 2003, which killed as many as 2,000 people a day, will be a normal summer” (p. 40). Wallace-Wells details that Saudi Arabia copes with summer temperatures nearing 120 degrees Fahrenheit by burning 700,000 barrels of oil per day, mostly to power the nation’s air conditioning. To combat the heat in the present moment is to make the heat worse later. While sea level rise and the displacement of hundreds of millions of people is certain, its pace is not. By 2100, Bangladesh, naval bases, the Everglades, Saint Mark’s Basilica in Venice, the White House, and most of the world’s internet infrastructure will be underwater. The planet’s beaches will disappear, thousands of years required to replenish their sands. Already, China evacuates hundreds of thousands every summer to escape flooding. Wallace-Wells warns that sea levels may rise by 260 feet over the course of thousands of years. Distressingly, the oceans themselves are dying, due to coral bleaching, dead zones, and fishery collapse, which will send ripples throughout the world’s food webs. Among the alarming impacts of climate change is the spreading range of diseases. Yellow fever, for example, was trapped within the Amazon, but warming temperatures and deforestation have allowed vector mosquitos to spread to São Paulo and Rio de Janeiro. In the U.S., diseases from mosquitos, ticks, and fleas tripled over recent years. Wallace-Wells details an alarming population collapse in the Asian saiga antelope, in which hundreds of thousands died in a few days, likely the result of a benign tonsil bacterium invading the body due to increased humidity. Whether this is an anomaly among that specific animal is unknown. The social impacts of climate change are already showing their teeth. A “climate caste system,” workers facing heat stress, economic crashes, weakening infrastructure, agricultural declines, refugee crises, mass psychological trauma, and resource wars are on the horizon. It is “a spark igniting a complex bundle of social kindling” (p. 128). While Wallace-Wells’ climate kaleidoscope of cascades and uncertainties is evocative, relentless, and disturbing, his analysis is also frustratingly kaleidoscopic itself. Rather than soberly explain the driving factors of climate change and the lack of global action to combat it, he presents mostly possibilities and uncertainties as to why. In the book’s opening pages, he rattles off thirty psychological reasons preventing action, such as fear, technocratic faith, and an overconsumption of bad news, but fails to stake a claim on which he thinks to be the most important and worth tackling. Instead, he flippantly remarks, “really, who knows why” (p. 9). The kaleidoscope prevents comprehension; Wallace-Wells, to quote himself appears “mesmerized by the threat directly in front of us without ever perceiving it clearly” (p. 143). Marxists, however, are clear: the threat comes from modern industrial capitalism. Wallace-Wells admits this is the heart of the problem yet fails to demonstrate how it can be overcome. He correctly rejects individual solutions yet considers everyone complicit. He elaborates upon the problem of “narrativizing” climate change. Who are the heroes and who are the villains? He remarks that the lack of media coverage depicting heroic efforts against climate change is because “collective action is, dramatically, a snore.” (Tell that to Black Lives Matter, Standing Rock, or the teachers on strike!) He claims that since moral responsibility is distributed throughout a complex network of “stakeholders,” including anyone with a Netflix subscription, there is no clear villain. This is too clever by half. While private and state-owned oil companies may not be directly responsible for most emissions, they lay the foundation of industrial capitalism. Furthermore, that there are other leading emissions sectors, such as industrial agriculture, does not render the fossil fuel industry blameless. This points to the need to bring not just the massive resources of the energy sector into public ownership but also industrial agriculture. The use of these resources which are vital for humanity can then be decided through a democratically agreed plan. If industrial capitalism is the primary culprit, as Wallace-Wells admits, the heroes and villains are very clear: the world’s working class and oppressed versus the world’s ruling class. Today’s heroes are the Standing Rock Sioux, Greta Thunberg and the 1.4 million students who participated in protests on March 15, and the potential united labor movement; the villains are the 100 corporations and state entities responsible for 71% of emissions since 1988, the banks who finance them, and the politicians who abet them. Rather than a snore, there is a long history of heroic and collective struggle against the forces of capitalism. Marxism shows the responsibility of capitalism for ecological crisis and how to fight it. Rather than ask “can capitalism survive climate change?” (p. 162), we should ask: can the planet survive capitalism? It is becoming increasingly clear to millions of people, as demonstrated by the popularity of the Green New Deal, that climate change is the logical result of a system driven by profit. Individual working people cannot be blamed for causing this climate crisis, but it is us who have the power to bring it to an end. By fighting collectively for a vastly different society, where workers in polluting industries are re-trained and guaranteed well-paid, green jobs, where the key sectors of the economy are brought into public ownership under democratic control, we can drastically change course. We can build a society that is planned democratically, not for the profit of a tiny minority, but for the needs of all people and of nature. Massive Climate Demonstrations in Europe: Build the Global Fightback!